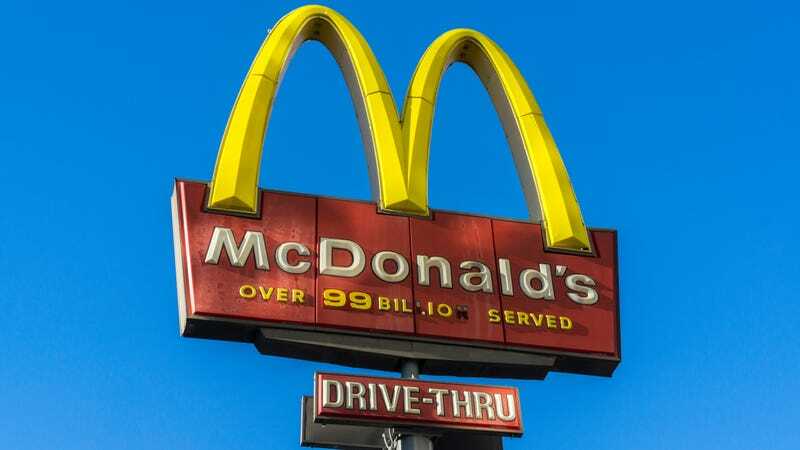 In the second story about a deputy tasting bleach in his fast food this week, KOAM in Kansas reports that a 22-year-old (now former) McDonald’s worker has been charged with putting a peroxide-based cleaner in the drink of an Allen County deputy that came through the drive-thru. According to KOAM, “Officials say a short time later, the deputy experienced flu-like symptoms,” and notes that the bleach substance is used to clean the McDonald’s counters. The Allen County, Kansas Attorney subsequently filed one count of aggravated battery of a law enforcement officer against Iola, Kansas resident Trevor Hockaday. This is not to be confused with a story from a few days ago, in which a Florida deputy suspected bleach in the meal he received from Taco Bell, says WINK News. The deputy ordered four burritos through the drive-thru, but after ingesting two, noticed that they smelled strange and “his tongue was tingly.” He called for help. Both Taco Bell and McDonald’s management have come forward with statements expressing that they take food safety very seriously and that these incidents are under investigation.